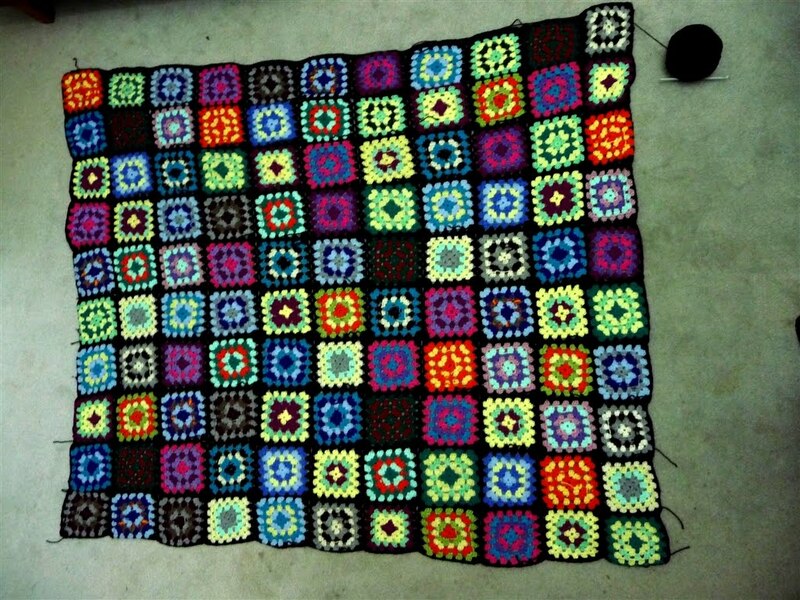 The granny square blanket is nearly done. There is just the edging to go. 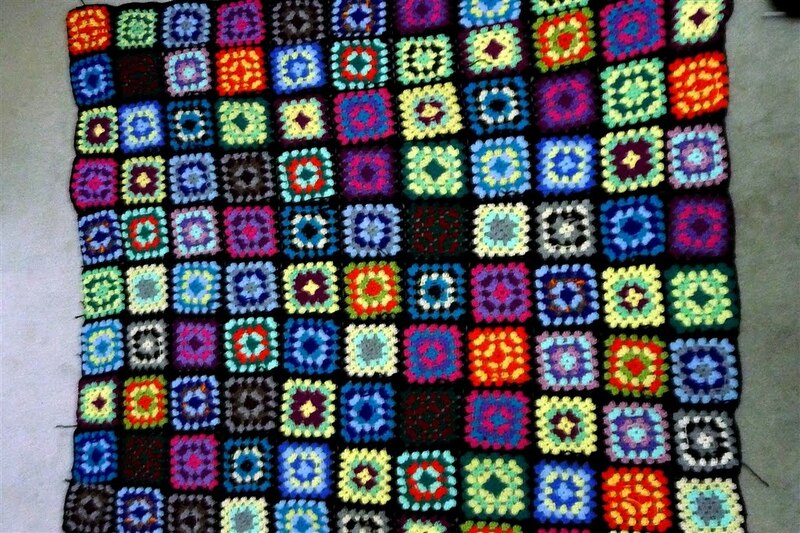 My Mum will soon have this blanket to give as a gift. 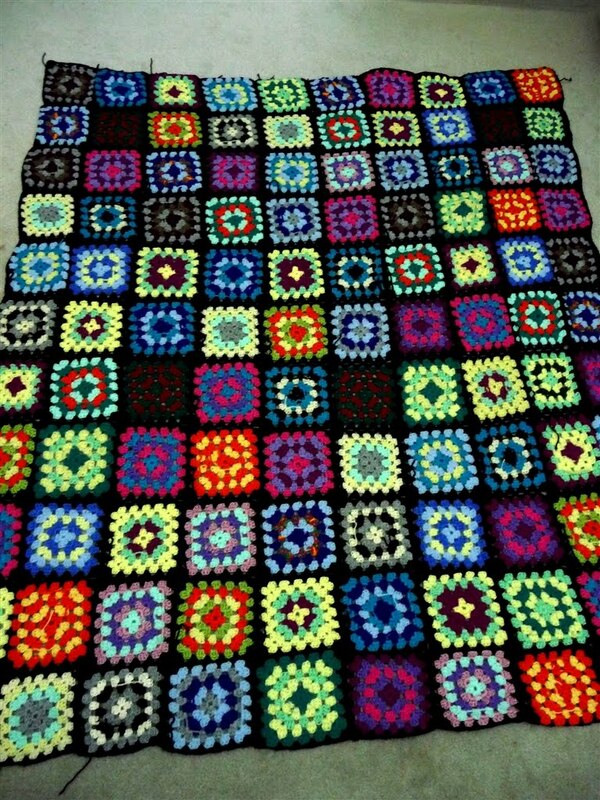 You see my Mum has made a granny square blanket for each of her 4 children, except the youngest and my baby brother will be 35 years old at his next birthday. When I stare at this photo my eyes kind-da go blur-rey and when I wiggle my head side to side it is like a Kaleidoscope.